Heather Wilson began to play the violin at the age of four with the Saskatoon Suzuki Strings program and went on to play viola with the Saskatoon Symphony Orchestra, the Prairie Virtuosi Chamber Orchestra and has appeared as guest violist with the Brandon Chamber Players, the Amati String Quartet, the Horizon String Quartet, the Ritornello Chamber Music Festival and the Clear Lake Chamber Music Festival. 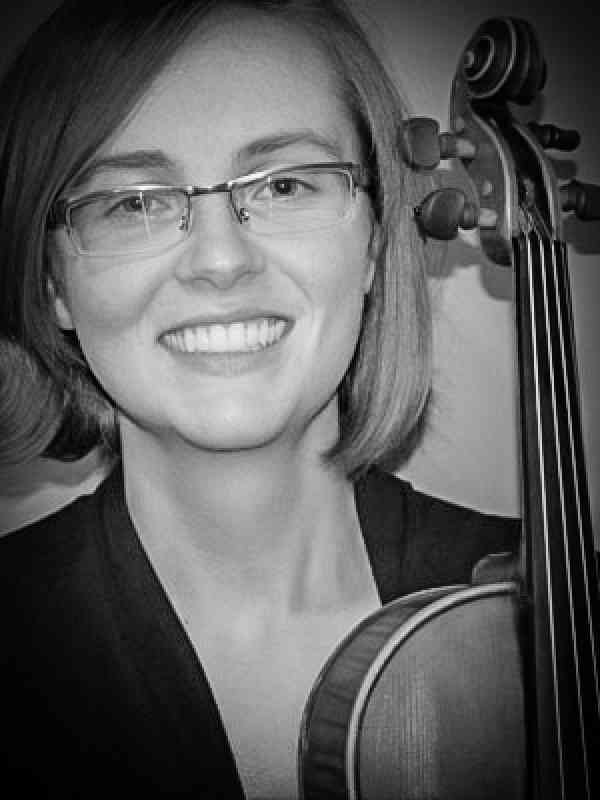 Heather holds a Master of Music in viola performance from McGill University and currently plays viola in the Winnipeg Symphony Orchestra. Heather enjoys teaching violin and viola to students of all ages and has been teaching private and group lessons since 2011. She has completed Suzuki pedagogy courses with Elayne Ras, Edmund Sprunger, Karen Kimmett, Paule Barsalou, and Elizabeth Stuen-Walker. She was an instructor with the Saskatoon Suzuki Strings program for more than five years and currently teaches with Suzuki Music Winnipeg.